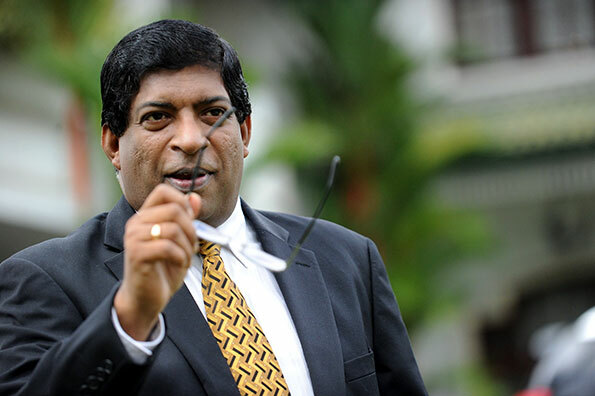 Finance Minister Ravi Karunanayake has been appointed as the Chairman of the Intergovernmental Group of 24 countries on International Monetary Affairs, which is scheduled to take place in Bali Nusa Dua, Indonesia, in October 2018. The governing body of the G24 – Intergovernmental Group of Twenty-Four countries on International Monetary Affairs and Development – meets twice a year, preceding the spring and Annual meetings of the International Monetary and Financial Committee and the Joint Development Committee of the World Bank and the International Monetary Fund (IMF). Following the Annual Meeting of the World Bank and IMF from 9 to 11 October in Lima, Peru the two international lenders have agreed to extend unconditional support for Sri Lanka’s development initiatives. On the sidelines of the meeting, the Finance Minister attended a number of discussions in addition to the main conference. At this occasion, Minister Karunanayake assured that Sri Lanka will also contribute for strengthening of G 24. There are three Chair-countries that together constitute the G-24 Bureau: the Chair, and the First and Second Vice Chair. Each Chair-country represents a different region. An elected country takes up the Second Vice Chair position for the first 12-month period, becomes First Vice Chair the following year and assumes the Chair in the year thereafter. The Chair country takes responsibility for preparing for the meetings and running the press conference, together with the two Vice-Chairs. National officials from the office-bearer countries are assisted in this task by staff from the G-24 Secretariat and the offices of their Executive Directors in the IMF/World Bank.